Part I: The Basics of Electrocardiography – A Brief Introduction to the Essentials. 2 Anatomy and Blood Supply of the Conduction System. 3 Normal Conduction and Complexes. 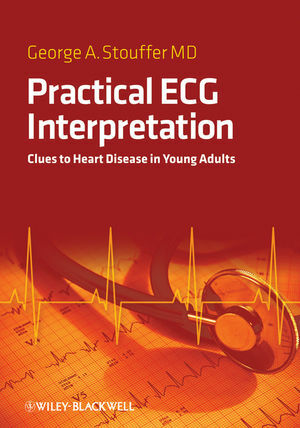 Part II: Helpful Hints in Interpreting ECGs in Young Adults. 5 Normal Rhythm and Rate. 6 Determining Axis and Intervals. 7 Effects of Electrolyte Abnormalities on ECG. 8 ECG Clues to the Presence of Hemodynamically Significant Congenital or Valvular Heart Disease in Young Adults. 9 ECG Clues to the Presence of an Increased Risk of Sudden Cardiac Death in Young Adults. Part III: Specific ECG Tracings and Diagnoses. Section A: Conduction System Disease. 10 Atrial Flutter with 1:1 Conduction. 11 Atrioventricular Nodal Re-Entry Tachycardia. Section B: Congenital Heart Disease, Pulmonary Hypertension and Valvular Heart Disease. 19 Atrial Septal Defect – Secundum. 20 Atrial Septal Defect – Primum. Section C: Coronary Artery Disease, Pericarditis and Cardiomyopathies. 31 Arrhythmogenic Right Ventricular Dysplasia. 34 Diagnosis of Myocardial Infarction with Existing Bundle Branch Block. Section D: Cardiovascular Manifestations of Systemic Diseases.